Loop by ferm Living is a simple, rectangular rug in light colours and various sizes. The rug is made from 100% New Zealand wool. Woven with a thin and a thicker thread, the carpet gets an unequally soft feeling with a natural texture and a certain depth. 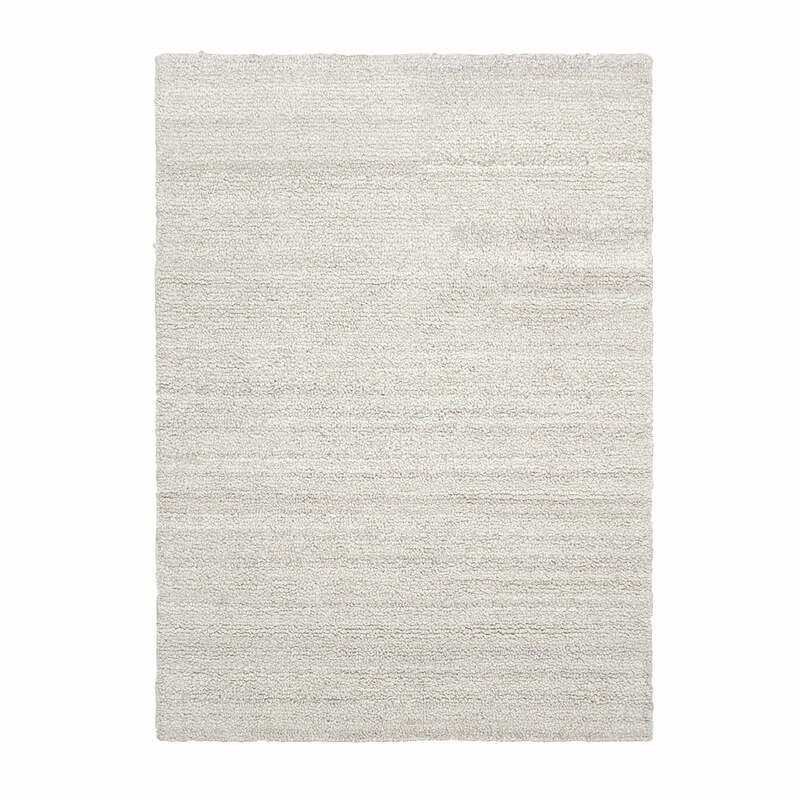 Placed on the living room floor or in the bedroom, the particularly soft wool allows you to walk barefoot as if on clouds, while the classic and subtle look of the carpet is not intrusive and blends perfectly into many living spaces. 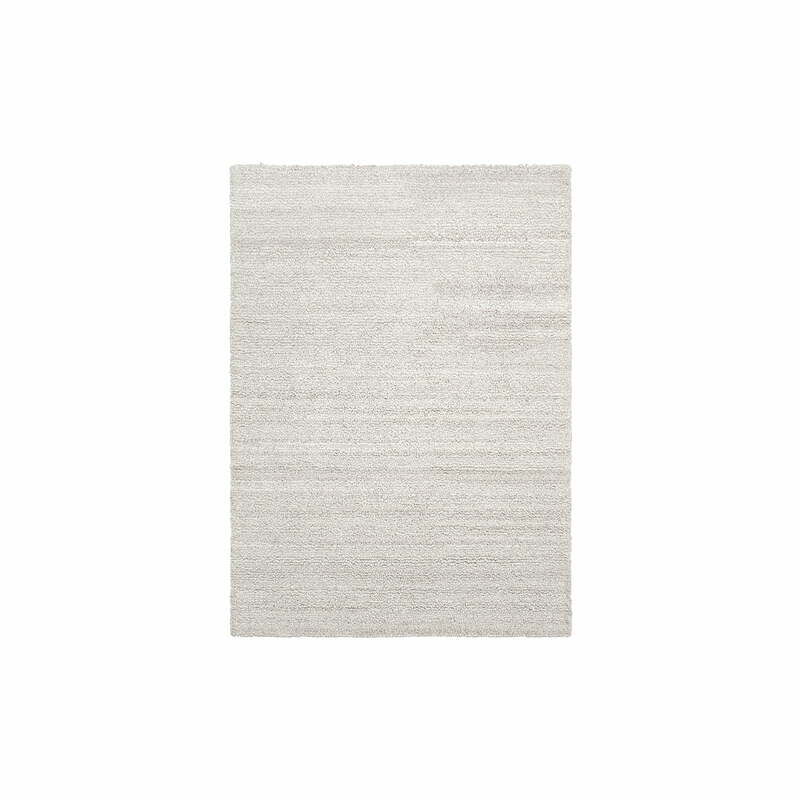 Ease Loop rug, 140 x 200 cm by ferm Living in off-white: Placed on the living room floor or in the bedroom, the particularly soft wool allows you to walk barefoot as if on clouds, while the classic and subtle look of the carpet is not intrusive and blends perfectly into many living spaces. The Ease Loop rug by ferm Living is made from 100% New Zealand wool. Woven with a thin and a thicker thread, the carpet gets an unequally soft feeling with a natural texture and a certain depth.